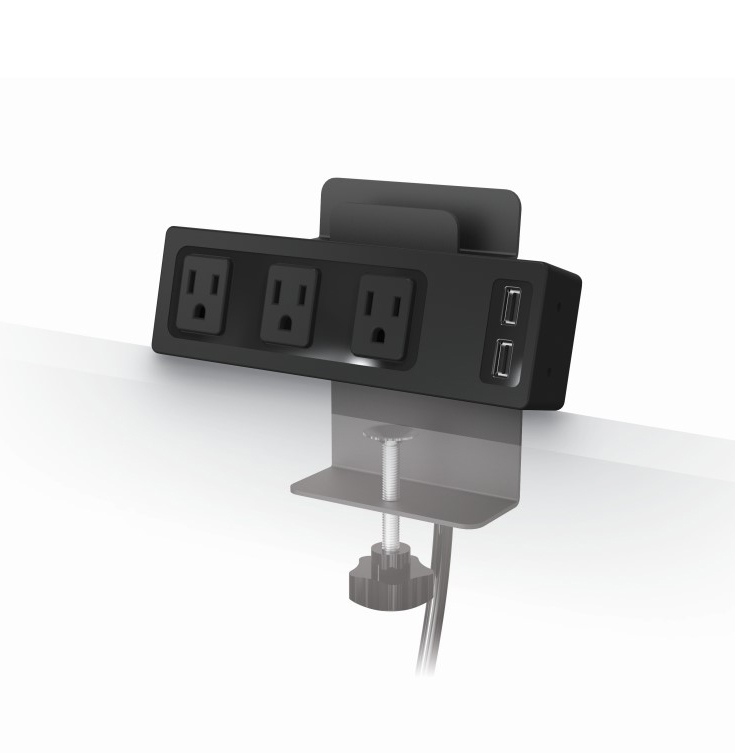 * Quick and easy solution to add AC power and USB charging accessibility to your conference table or desktop. 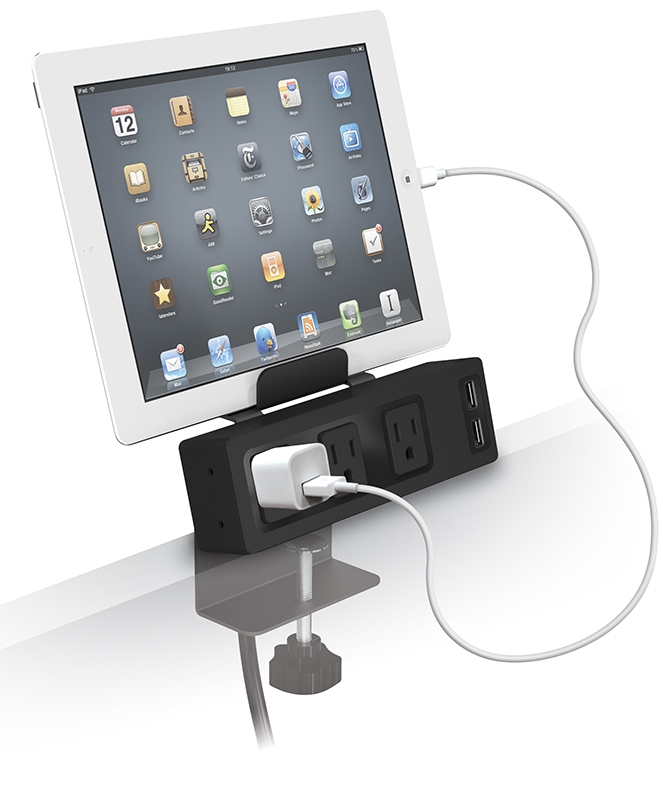 * Includes three AC outlets, two USB charging ports, and a 10' power cord. 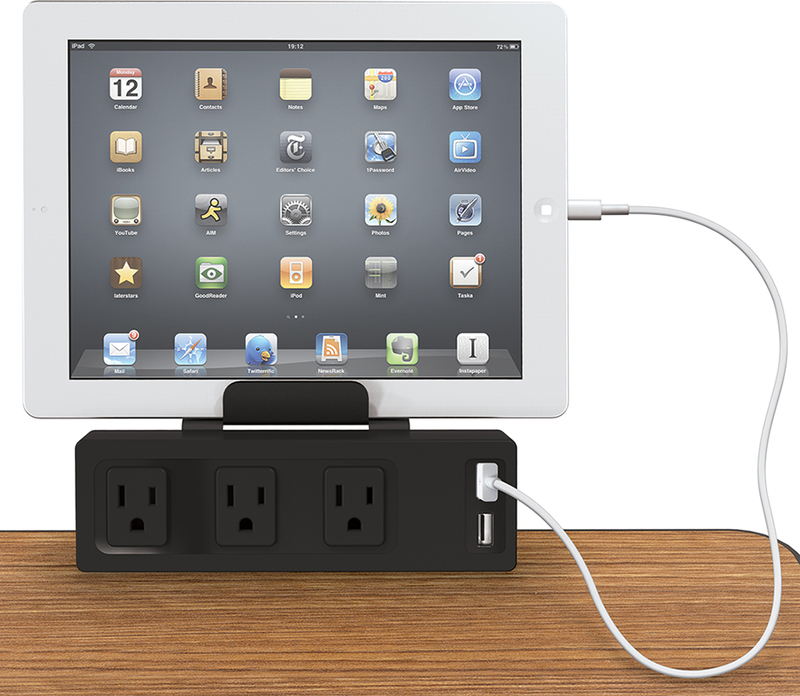 * Keep laptops, tablets, phones, or other mobile computer devices charged and ready to go at your desk, in your conference room, or anywhere else power access is needed. 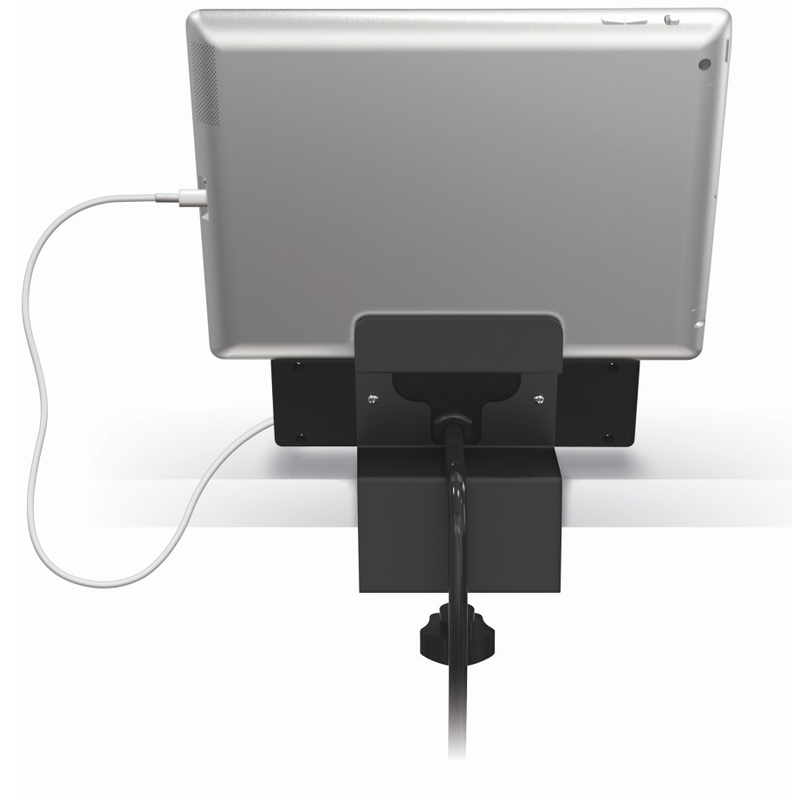 * Clamp mount adjusts to fit surfaces from .75" to 2" thick. * Handy lip can be used as a tablet stand. * UL/cUL listed. Texted for UL 962A (furniture power distribution). 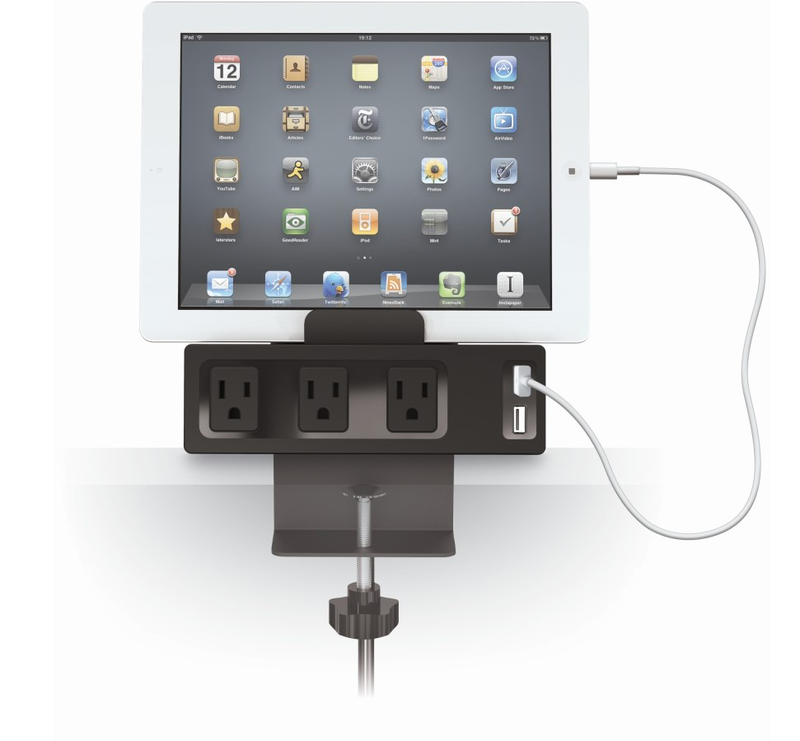 Clamp Mount Power Strip w/USB Charger measures 7-1/4"W x 3"D x 5-1/4"H. Shipping weight 3 lbs. PRICE INCLUDES SHIPPING! Please allow 1 week for delivery.